How wifi routers are sold in Indonesia? As I explained in my other article about distribution channel in Indonesia, every product category (computers, lamps, bulbs, cell phones, fabrics, clothing, etc) have a trade center location where each building hosts thousands of similar stores. People living in Jakarta know that these are the places they need to visit to get the best deals and lowest price on each product category (retail or wholesale). For example, people would tell you to go to Kenari trade center for lamps or Mangga Dua trade center for computer and accessories. WiFi router falls in the computer category so all the computer retail stores in Mangga Dua also sells consumer WiFi routers. These stores sells everything you can think of in the computer category including motherboards, CPU, hard drives, DRAM, keyboard, mouse, fan, heatsink, power supply, laptops, web cameras, pirated software, servers, desktops, and tablets. I decided to tour the building and check out the products. 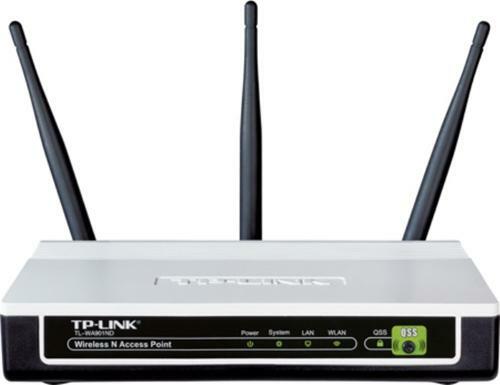 TP-Link is the dominant brand because they are good quality and cheap. In addition, I also see routers from D-Link, Buffalo, Cisco, and Belkin with prices ranging from USD $30 – $100. So I decided to ask the sales associates in a few of these stores to understand how they sell these products. I walked into the first store and asked the sales lady which router is best and what product she would recommend for me. First, she said that if you have 2 stories house, you need to get a router with 3 antennas that cost $50’ish. Otherwise, she recommends 2 antennas router for $40’ish. Sometimes one of the antennas on some products are just accessories and the signals are not processed because of software/silicon problem. And yet this becomes the main metric for selecting a product. The second store I visited, I asked how all these products (D-Link, Belkin, Buffalo) in your store are different from each other. The sales associate is obviously not trained. He said the differences between these products are the distributors. Nice…so now the product features do not even matter anymore. The bottom line is that WiFi routers in Indonesia, where fixed line broadband bandwidth is in the less than 2 Mbps range, are no different than pork belly or other commodity. Some brands are successful in obtaining a position in the market. TP-Link is the best value for the money. Cisco/Linksys is the best product so you should pay premium for it. The rest do not really have a position and will be pushed based on distributor incentives/rebates or whatever your friend recommends. Most people just want WiFi router that is easy to setup with solid and consistent wireless performance everywhere in their house. It is my view that this is an example of a product category that has overshot the market’s ability to utilize its performance even in the United states.